The Intaki Liberation Front is today conducting the most recent phase of their Intaki Homeworld Relief Effort, a massive relief operation bringing over 150,000 cubic meters of relief supplies to Intaki Prime. The shipment included many items that have been in short supply in Intaki since Faction War moved into the Placid region. The Intaki government was thrilled to receive the donation of much-needed supplies, such as miniature electronics, consumer electronics, high-tech scanners, high-tech manufacturing tools, construction tools, robotics, rocket fuel, synthetic oil, superconductors, and even Quafe Ultra. 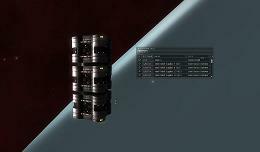 ILF spokesperson Sumerio Rayej (or “Rage”, as the capsuleer is known among his associates), refused to give details of the operation, citing security concerns. ILF CEO, Suresha Saxon Hawke, announced the beginning of relief operations back in early May. He credits pilots of ILF, the United Star Federation alliance, the Ishuk-Raata alliance and of the Caldari militia with conducting a generous relief effort. While he admits that his cadre of capsuleers cannot supply all the needs of an entire planet, Mr. Hawke cited numerous examples of improved conditions on Intaki as a result of relief supplies. Though Intaki is still suffering a major economic recession as the result of the war and fallout from Tibus Heth’s auction of development rights for occupied Gallente space, today there was visible relief. Several manufacturing plants were able to resume operations and store shelves were once again stocked with high-tech consumer products. Though there is still an undercurrent of fear regarding Ishukone’s intentions toward Intaki, violence and demonstrations were noticeably less today, as many workers returned to their jobs. 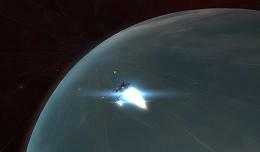 Read more about this event in this latest article from New Eden’s Interstellar Correspondents.